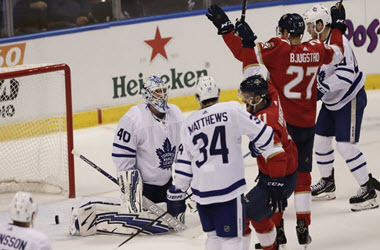 The Columbus Blue Jackets went into last night two points behind Montreal and in desperate need of a win if they hoped to keep their hopes of making the playoffs alive. 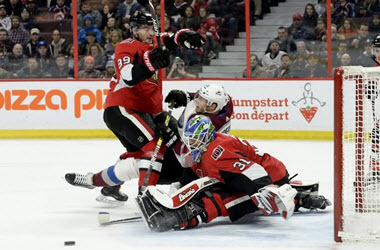 Columbus began the first period with a disappointing show that ended up with a surprising victory that put them back in the hunt for the last of the Eastern Division wild-cards positions. After spending the first period trying to sort themselves out, The Blue Jackets began the second scoring, and those kept coming as they went on to a 6-2 victory over the Montreal Canadiens. Montreal’s Bret Kukak scored early in the first period, while the Blue Jackets had difficulty in clearing the puck away from its defensive zone and struggled to even get off a shot in the first ten minutes of play. Columbus’s David Savard manage to tie the game early in the second, and beyond the goal by Jeff Petry, the rest of the night was all about the Blue Jackets. 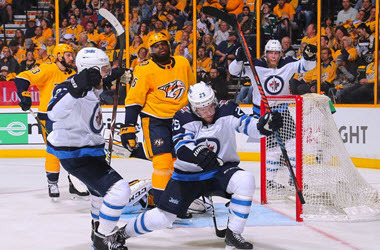 Mobile punters looking to follow the Montreal Canadiens in their game against the Winnipeg Jets on Saturday night will find excellent in-play odds at leading sportsbooks such as Bet365. Registering today will entitle new punters to up to $200 in signup bonuses. Register today and prepare for the upcoming post-season with Bet365.